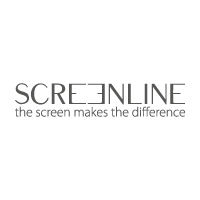 Screen Line SRL is a company that produces screens for videoprojection. We design and produce screens entirely in Italy. Every screen we sell has the warranty of being controlled, in every steep, from the project to the production. Thanks to this we can guarantee the best Italian screen videoprojection quality. Our experience in this sector allows us to give to our consumers the best quality and to satisfy their needs. Our quality has brought our company to be present in four continents with a capillary distribution.